The candidates were tied at 42 percent support among likely Massachusetts voters in a survey by Rasmussen Reports. 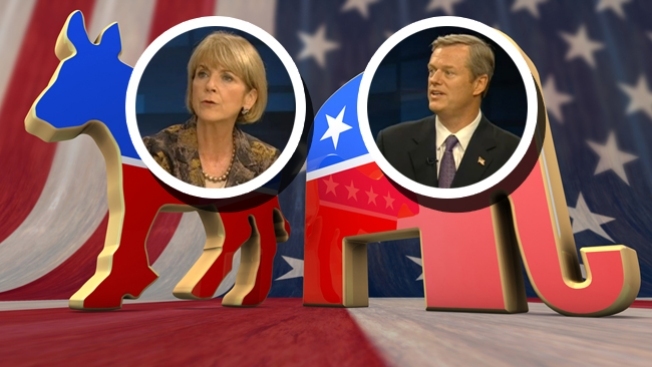 Democrat Martha Coakley and Republican Charlie Baker are in a close race to become the next governor of Massachusetts. The candidates are tied at 42 percent support among likely Massachusetts voters. An additional 5 percent prefer another candidate, while 10 percent are undecided. The survey of 750 Massachusetts voters was conducted on September 16 and 17 by Rasmussen Reports.